It's not high level play, but it is interesting. Hopefully in the near future we can carve out the time and track down the appropriate software to do more of these and have them look a bit nicer. Parkitect is in early access on Steam right now, I picked this up directly from the dev in its pre-alpha form. I've spent a couple months with it and I love what it can do. There's lots of room for improvement and seeing it improve with every update is a joy. 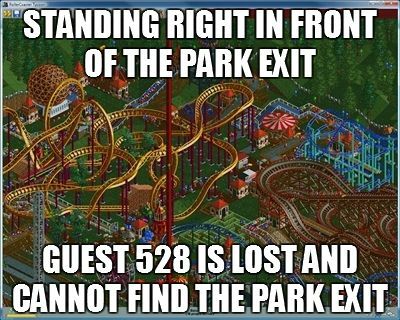 It hits all the marks for a for a classic Roller Coaster Tycoon game, while also adding a lot of new tricks. Create a small park around a theme in 20 minutes or less.